Zac Attwood has left Hastings United Football Club to join Crowborough Athletic, according to the Crows’ website. The Crows are reporting this morning (Wednesday) that Attwood has agreed to join the Southern Counties East Football League club for the 2016/17 season. The move would see Attwood, a 27-year-old striker, drop down a division from Ryman Football League Division One South outfit United, and link up with former United team-mates Lee Carey and Jack Walder. Attwood was a marquee signing for United ahead of the 2015/16 season when he returned to the club from Margate to start a third spell at The Pilot Field, but endured a disappointing campaign, scoring just 11 goals in 38 appearances. He has played 149 times in total for United and scored 42 goals, including a memorable late winner against Bishop’s Stortford en route to the third round of the FA Cup during the 2012/13 season. Attwood - a former Eastbourne Borough junior who has also featured for Bognor Regis Town, Histon, Welling United and Maidstone United - joins Sam Adams and Sean Ray in having left United so far this summer. 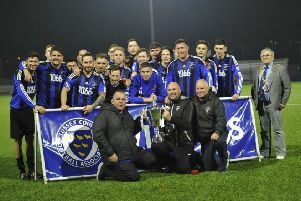 On the plus side, however, new manager Darren Hare has brought in experienced trio Matt Bodkin, Frannie Collin and Steve Watt, and retained Sam Cole, Sam Cruttwell, Richard Davies, Simon Johnson, Ollie Rowe and Jerome Smith.